PHILIPSBURG–St. Maarten Carnival Development Foundation (SCDF) reported on Tuesday that as far as hotel rooms go “St. Maarten is literally booked solid” for Carnival 2019. With the exception of limited availability at some properties, the foundation has started referring guests to villa rentals and Airbnb properties. “We are not saying don’t come, we are saying be prepared for alternative lodging that also includes French St. Martin,” SCDF said. The foundation has known since January that lodging was becoming a problem for people wanting to come to St. Maarten for the 50th anniversary of St. Maarten Carnival. SCDF has received numerous emails and messages via social media from persons seeking help finding a room. The capacity bookings were confirmed to SCDF by St. Maarten Tourist Bureau (STB) in a meeting on Tuesday morning. STB told SCDF the department has also been receiving requests for assistance with lodging. “We have been doing our best with referrals to certain properties, but we are quickly running out of options. 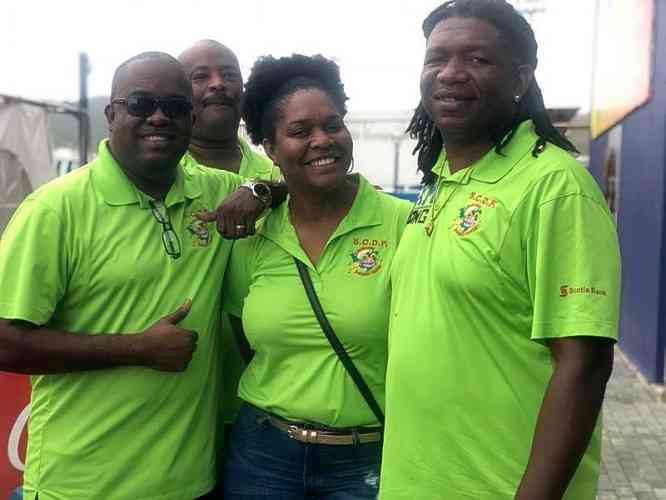 This is a problem for Carnival lovers, but it’s a great problem to have for St. Maarten Carnival and the economy of our country, as we are still in economic recovery mode,” SCDF President Alston Lourens said. He added that local property owners have also offered empty apartments to the foundation for any visitor who might need accommodation. “With many of our hotels not rebuilt following the hurricanes of 2017, going into Carnival 50 we knew lodging would have been an issue, which is why from early we started pushing alternative lodging choices for visitors. There are some properties coming online now [Maho, and Princess Port de Plaisance – Ed.] and they have some availability, but for the most part, Philipsburg in particular is fully booked out,” Lourens said. SCDF is expecting a few regional charter flights as well, all of which confirmed that all seats are filled. The marketing push for Carnival on Uber Soca Cruise in late 2018 with STB has also resulted in positive responses, with quite a number of people from that cruise coming for Carnival. “We are also directing visitors to properties we know of in French St. Maarten,” Lourens said. He concluded by re-iterating the importance of Carnival to the overall economy of St. Maarten. “We will keep pressing home the fact that Carnival is a serious economic driver for the country. Every other island around us has started the downturn into the slow season. Ours is extended because of Carnival. Car rental companies, hotels, airlines, the airport itself, restaurants, merchants, etc., all benefit from Carnival. We are very proud as a foundation to have the privilege to host St. Maarten’s largest and oldest calendar event and one of its most important economic drivers,” Lourens said.